Are you looking for an affordable alternative to traditional insurance for your family? Drs. 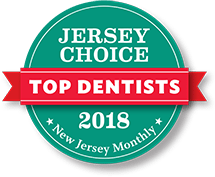 Ciano and Russo are dedicated to providing quality, affordable preventive dentistry for the children in your life. 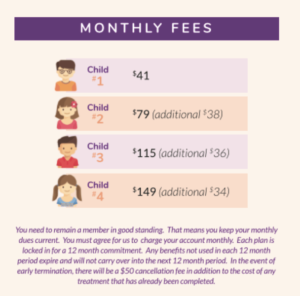 That’s why we designed the Montgomery Pediatric Dentistry Club (MPDC), a discount plan exclusive to our office. For less than the cost of a cup of coffee per day, you can cover your child’s annual preventive dental care! We believe that no child should have to go without needed dental care. Learn more about MPDC membership by calling our office today. 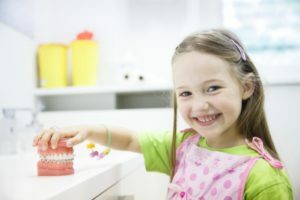 Preventive services are foundational to your child’s dental health. Our membership plan focuses on providing preventive services at an affordable cost. If treatment becomes necessary, enjoy a 15% discount on needed services. No waiting periods. No deductibles. No claims to submit. And no maximums! Our program is associated with a modest monthly fee of $41, which marginally decreases the more children you enroll. You must remain a member in good standing by keeping your dues current. Enjoy annual savings of up to $875 a year! No. This is not an insurance plan. Rather, it is a discount plan that is EXCLUSIVE to our office. Does it work with my existing insurance plan? Yes, for those who are looking for additional benefits or coverage, this is a good supplement. Unlike insurance plans, our MPDC does not have a waiting period or a maximum, and there are no strict frequency guidelines. Can I use this in other dental offices or with other health care providers? No. This membership is for our office exclusively. Call Montgomery Pediatric Dentistry today to learn more about becoming enrolled in our exclusive MPDC program. Our alternative to traditional insurance can save your family up to $875 a year!